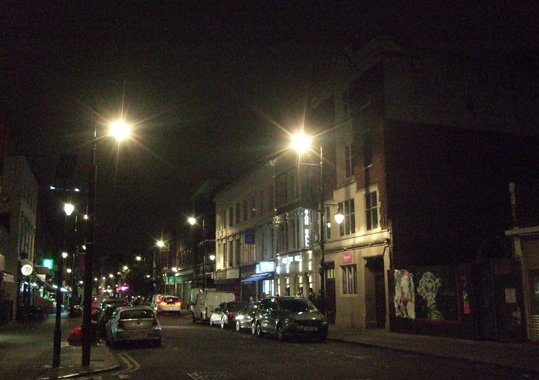 There's a brilliant new immersive horror performance on in Hoxton, London, at the moment. Go and see it if you possibly can. Or better still, go and see it twice - because every experience is guaranteed to be different. 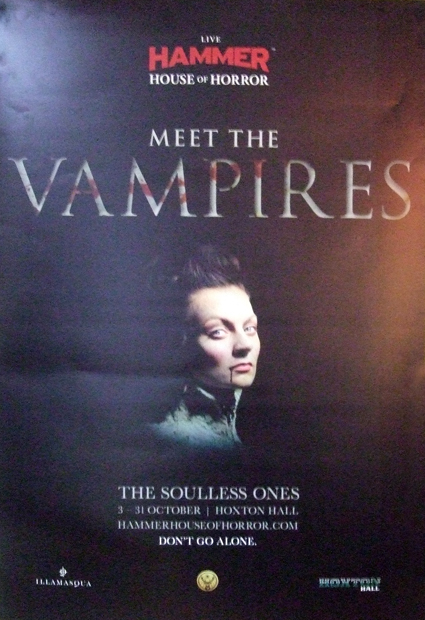 The production is called Hammer House of Horror Live – The Soulless Ones and the adverts describe it as "the first immersive theatre show from the legendary Hammer Films". I've been to perambulatory and immersive theatre before - but nothing quite like this. In previous productions of this kind the audience will generally get to see all of the scenes - they might not see them quite in the same order, but they will see them. Having said that, whatever thread you follow, you won't miss the main plot. The audience is carefully drawn together for the pivotal scenes. The vital issues that have drawn the characters together - willingly or unwillingly - are also discussed by each of them before the finale. And the audience is part of the play too - everyone is given a black cloak to wear and put in character at the very start. Having said that, you won't be required to act in the play - the audience's role is that of witness to an experiment. Although tickets for the play aren't exactly cheap - £48.50 for Tuesday, Wednesday and Sunday nights, £52.50 for Thursday, Friday and Saturday - I am seriously thinking of going again.